This top breathes and allows a full range of motion for comfort on long runs. The GORE WINDSTOPPER keeps out the wind and cold. "Excellent product, perfect for conditions"
"Fits well like the fact the sleeves are detachable"
Meticulously tested, Windstopper technology presides over a lightweight body uniting the perfect compliment of performance and comfort. Consisting of a highly functional material mix, the Fusion Running Top accommodates all weather conditions with intelligent sleeves. The sleeves are able to zip at the shoulder, allowing the wearer to adapt to differing needs/surroundings. Subsidiary features attached to the garment include a full zip; enabling the wearer to manipulate the level of ventilation needed as per their requirements. Supplemented with ultrasonic seams, eliminating chafing, subsequent irritation is in-turn quelled. Reflective elements complete the performance piece, preserving the wearer's visibility during diminished lighting. WINDSTOPPER Soft Shell offers total windproofness and maximum breathability, combining the comfort of a soft mid-layer and the water resistance of a shell in one garment. WINDSTOPPER Soft Shells keeps the inhibitor comfortable whilst simultaneously allowing for an unencumbered range of motion. 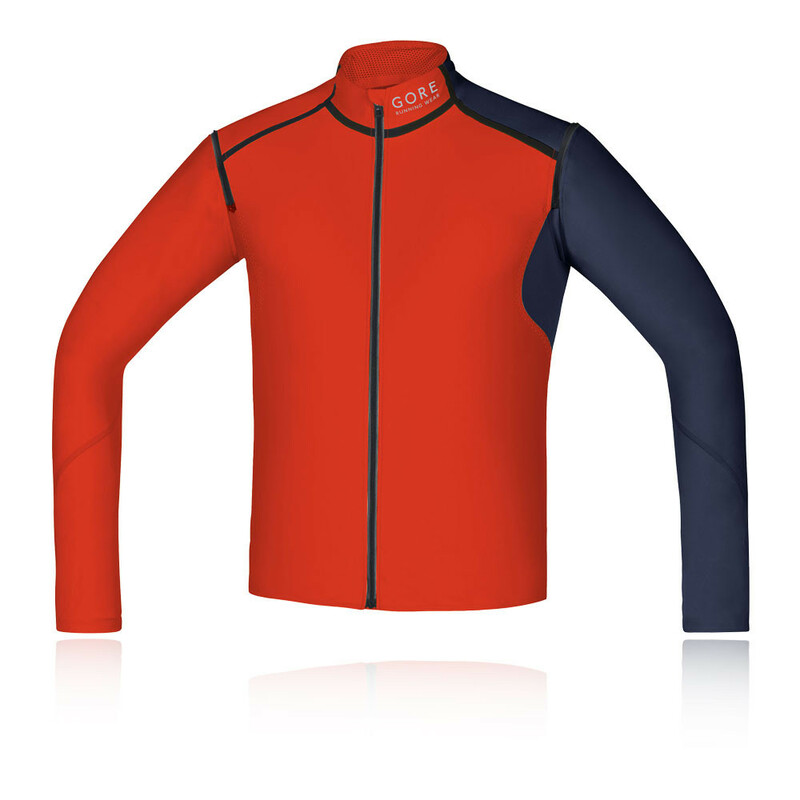 WINDSTOPPER Technology - Offers total windproofness and maximum breathability. 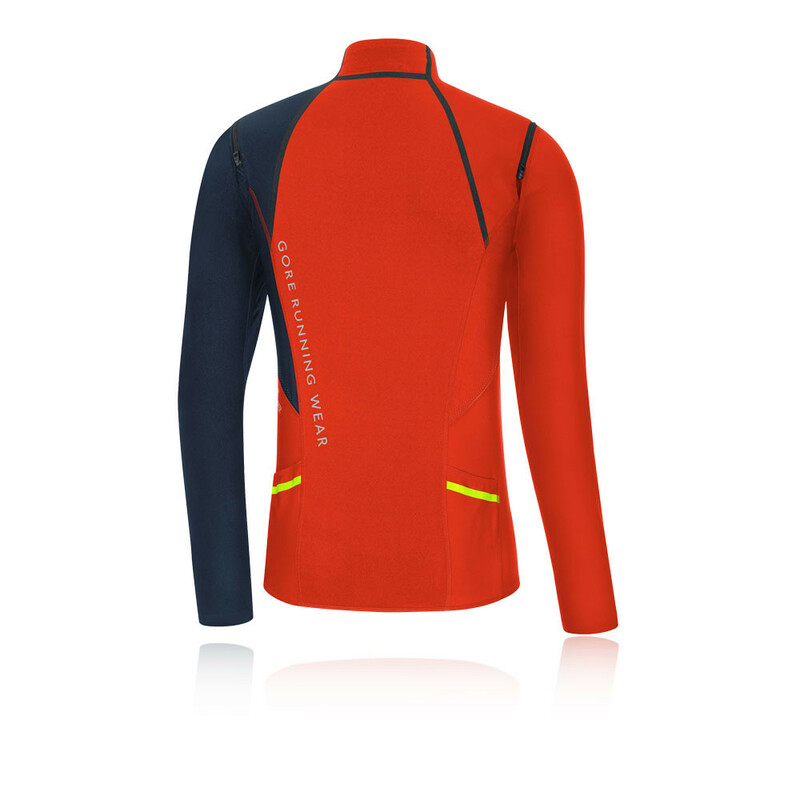 Detachable Sleeves - Intelligently adapt to differing conditions. 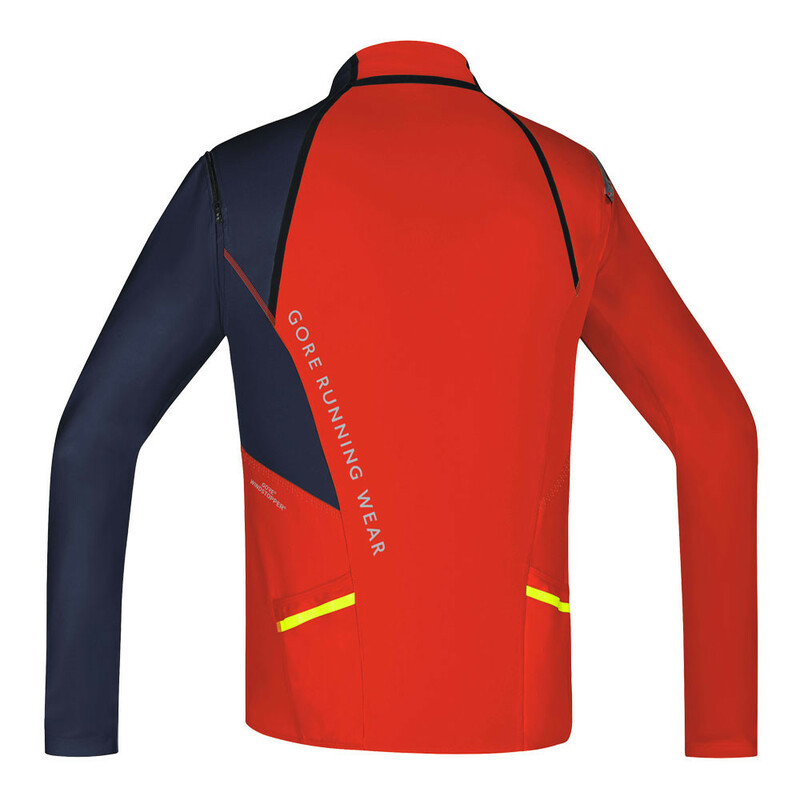 Full Zip - Allows the wearer to customise the level of ventilation necessitated. Ultrasonic Seams - Eliminates chafing and consequent irritation. Pockets - Provide storage room for detachable sleeves. Media Zip Pocket - Allows for music in motion. Reflective Details - Increase visibility during low level lighting. 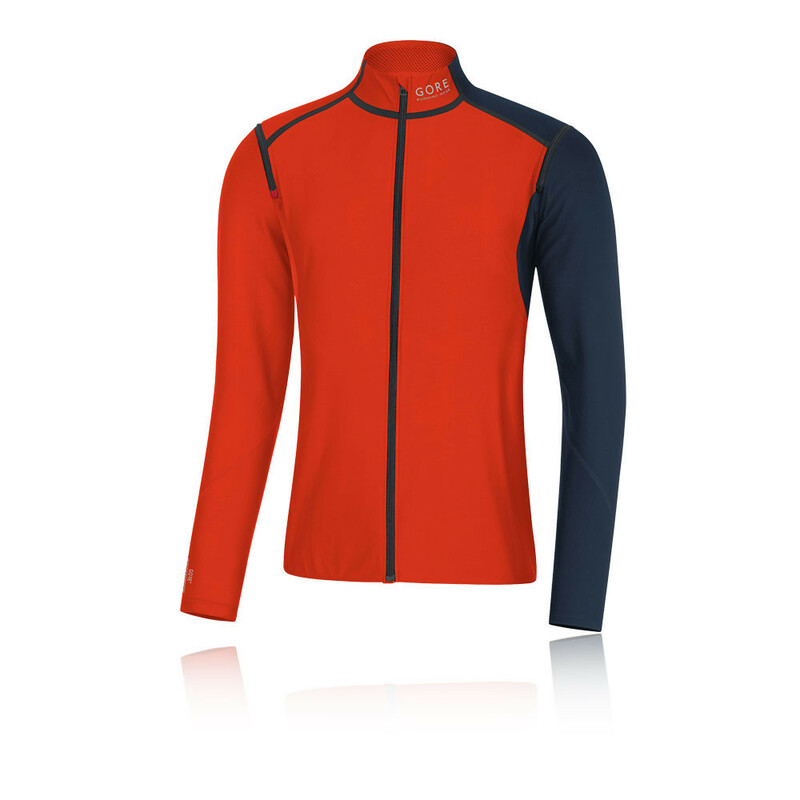 Mesh Lining - Surrounding the neck area, further increases the garments breathable qualities.